This tutorial will install Hadoop 2.4.0 on Ubuntu Server. How were you able to figure this out? I found it somewhere on the net after some research. That really should be part of their manual. Hi, Thank you very much for the video. 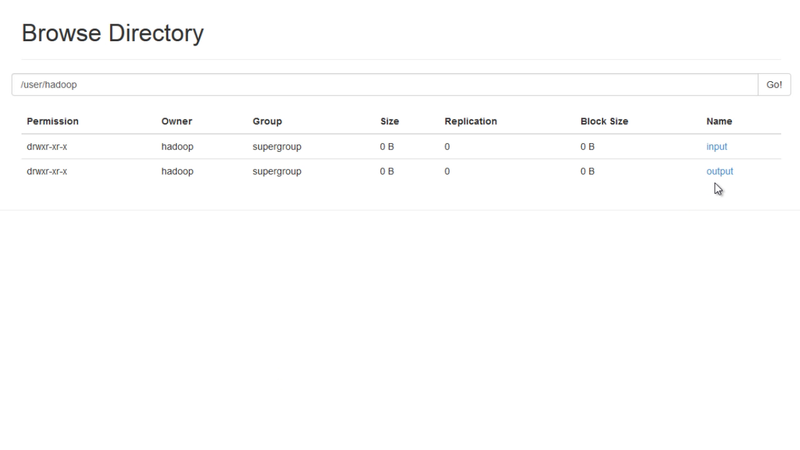 I build an Ubuntu machine with the express purpose of workinging with hadoop. I was struggling until your video. Thank you again. I am a long term technology guy, but essentially no Linux. Hi.. you are simply awesome and you made my day. Thank you so much for this wonderful video. I have installed Hadoop as per your guidlines. 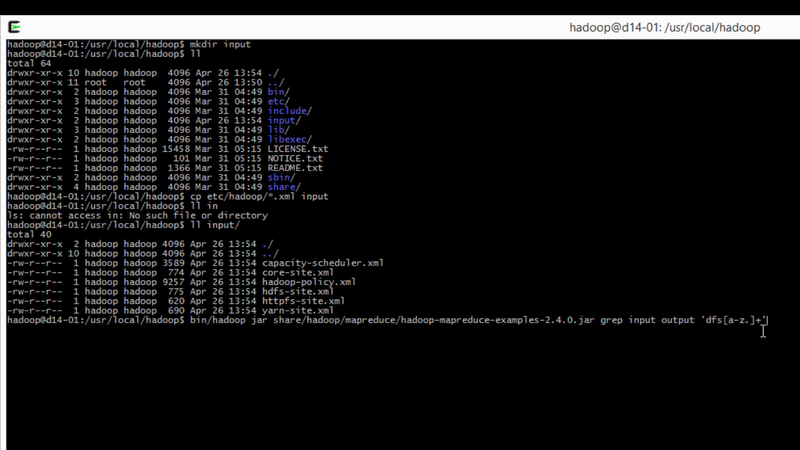 But when i run bin/hadoop, its showing hadoop: command not found. Please suggest me how to rectify this issue & also I am a new for Linux OS and first time i have installed Linux OS & trying to install Hadoop. For step12, you cannot use gedit if you are not in a visual environment. That`s why I use vim. 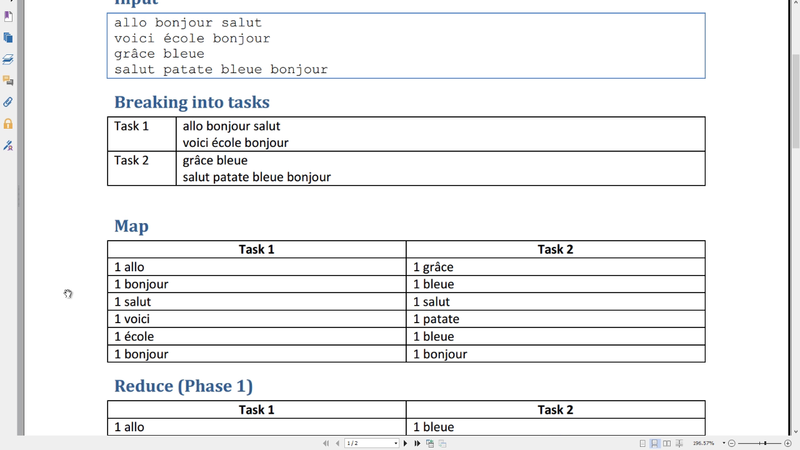 Hi, the problem is that you took the « src » version. Which means that you have the source code and you would need to compile it before using it. this is hard to tell since I haven’t tried this tutorial with 2.5.0, but 2.4.0 and I don’t know all the steps you did. My working environment is Ubuntu 14.04. Handy video (likely to point a number of people to it). One small thing. ‘ll’ while a pretty command alias for people to use, it not standard by any means. I would suspect a lot of people watching would get a bit confused by it despite it having nothing to do with hadoop. Thanks a lot for this video. I just installed Hadoop on Ubuntu 32-bit LTS. Right now its working fine.